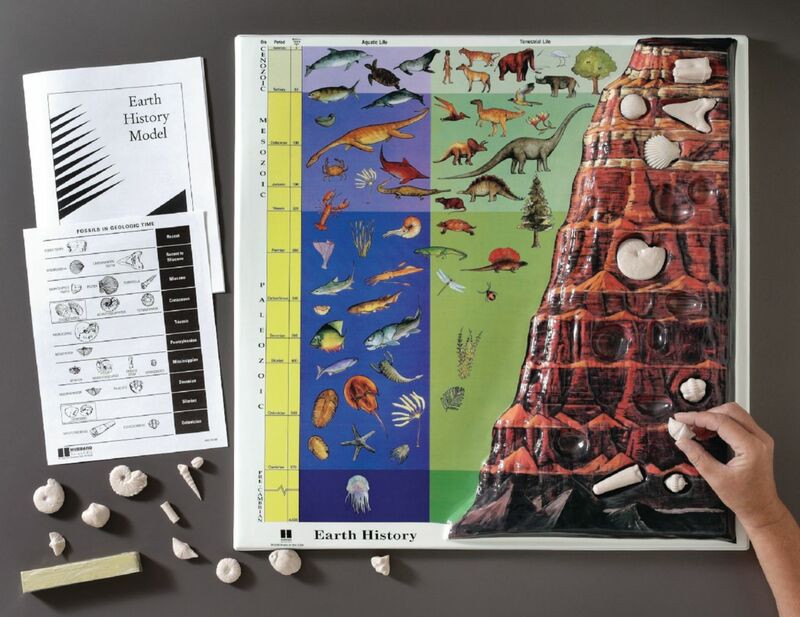 The raised relief rock formation, geologic timeline, removable fossil replicas, and artistic visual impact of this model clearly define how life has changed over vast periods of geologic time. The illustrations and realistic fossil re-creations represent marine and terrestrial life forms from the Pre-Cambrian era through the present, including the Ediacaran Period. 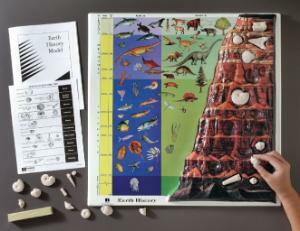 Eons, eras, epochs, and periods are rendered in relief on the detailed plastic panel chart. The included 21 fossil replicas rest in indentations in their appropriate strata. It comes with an illustrated teacher’s guide highlighting national standards and activities.